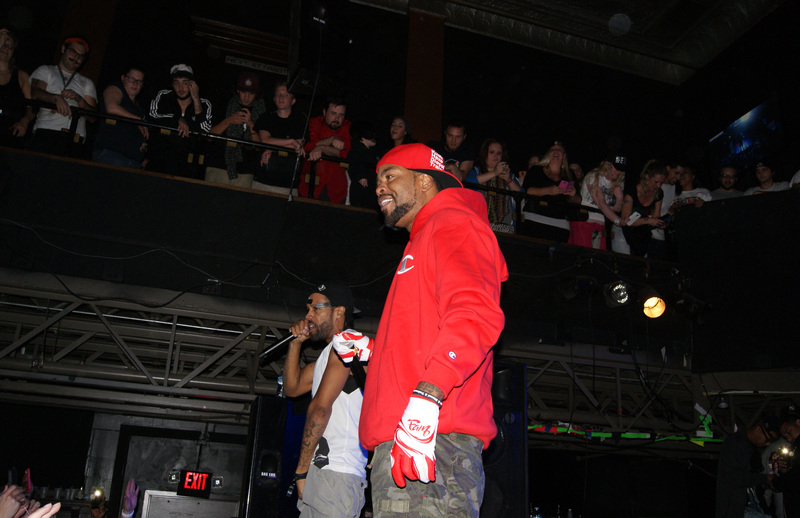 Redman (left) and Method Man. Photo by Leon Laing. For the grand finale, Redman climbed on top of a large speaker onstage. To create some suspense, he stood from the elevated area, waited about a minute and dived fearlessly into a sea of fans. 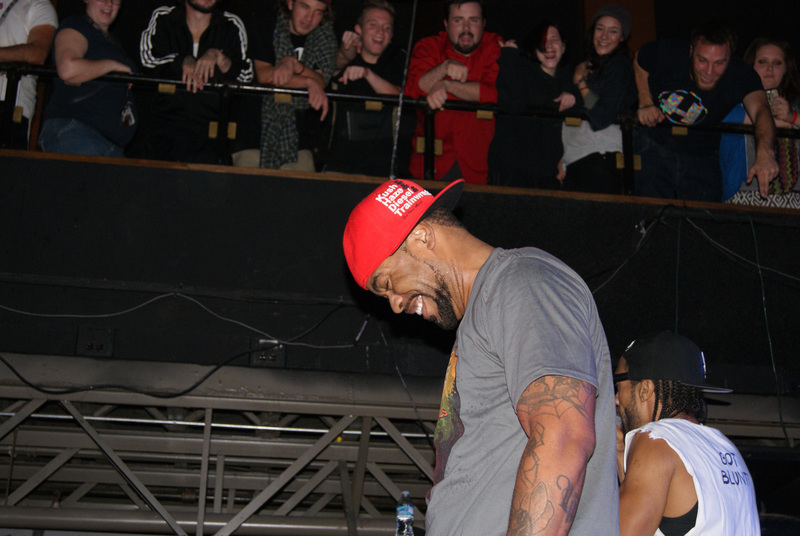 Method Man stage dived and crowd surfed, too. With oomph and classic songs, hip-hop’s Cheech and Chong connected with the crowd. 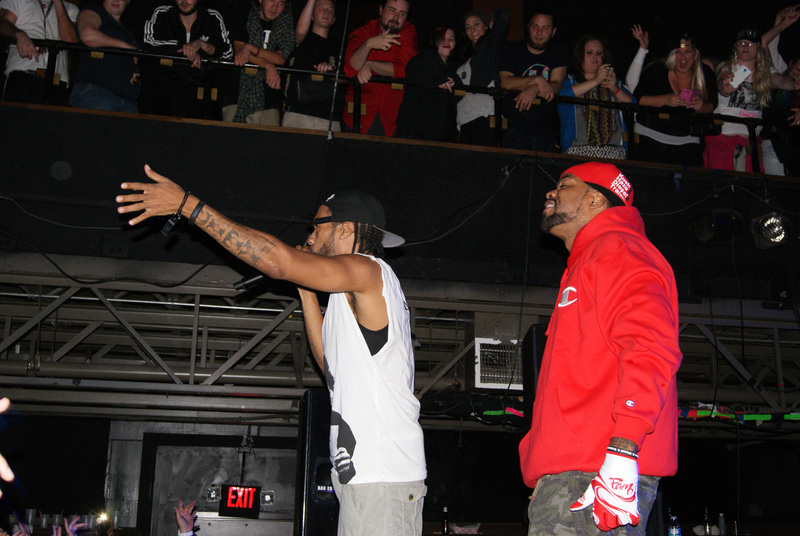 Red and Meth headlined the Smoker’s Club Tour at Lancaster’s Chameleon Club on Oct. 17. From the time Red and Meth entered backstage, they oozed with charisma and humor. Red looked leaner than he did when I saw him in concert in the ’90s. Red’s arms were chiseled, and he sported cornrows with a Chicago White Sox snapback. Meth, who had a Caesar haircut, wore a red Champion hoodie, camouflage shorts and red and white striped socks reminiscent of a Where’s Waldo shirt. The rappers/actors are lablemates on Def Jam Recordings and have been collaborating for 20 years. Red rocked the mic with hits, such as “Tonight’s da Night,” and Meth performed songs, including “Bring the Pain.” Red and Meth made the concert complete by incorporating the “Da Rockwilder” collabo. The duo paid homage to the late ODB by performing “Shimmy Shimmy Ya.” Sidenote: ODB once lived in Harrisburg. Meth, a hip-hop purist, talked about the 5 elements of hip-hop onstage. Method Man. Photo by Leon Laing. Redman and Method Man. Photo by Leon Laing.